Welcome to the Ninja world folks! We all know that the Ninjas were one of the most clever and cunning species of this world. They lived in the mountains of Kga and Loga sometime around twelfth century.  These were poor peasants but that did not stop them from creating and manufacturing the smartest weapons ever and their speciality was none other than the Ninja swords. The designs and use of their weapons clearly reflected how smart and genius they were. But hey, do you want that glory for yourself? Want to escape this world for a lil time and have a sneak peek into the Ninja world? 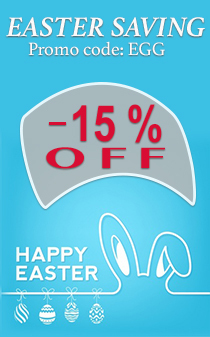 We will help you with that! 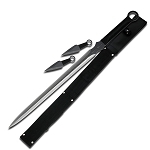 Our Ninja swords truly exhibit the real Ninja swords from earlier times. 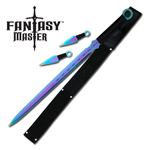 And trust us, you will definitely want at least one Ninja sword for yourself as these make the enemies quiver just by the look of them. 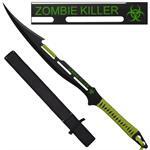 Real Ninja Swords Are Here! 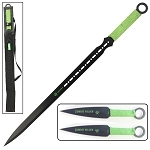 We at Knives Deal provide you premiere selection of top-grade real ninja swords that are an absolute necessity for you as you work your way to Ninja glory. 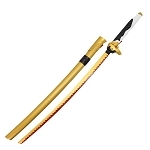 We believe in authenticity and that is why our Ninja swords are constructed in the genuine Japanese style just like the Ninjas used to make them. 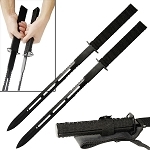 Our authentic Ninja swords are very flexible yet durable and are made with finesse and precision. 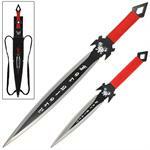 Whether you want a ninjato, a tanto blade or a straight blade, you will have your requirements fulfilled at Knives Deal. 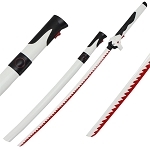 The intricate details of our Ninja swords give them a genuine look and will make you want to grab them as soon as you see them. 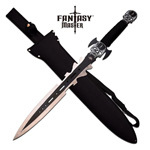 Whether you want unsharpened swords or battle ready swords, you can have your pick at Knives Deal. 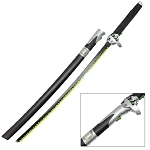 Our finest crafted Ninja swords for sale come with a lot of other Ninja accessories as well which will surely give you the right Ninja feels. 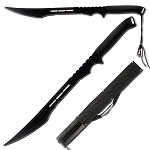 These accessories include sheaths, straps, scabbards, and maybe even a few throwing knives to get your Ninja gears on! 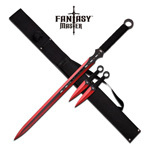 The cost of our most affordable Ninja swords along with the quality assurance of our products, including a 30-day money back guarantee is convincing enough for you to move ahead and get your hands on the best Ninja swords worldwide. Grab yours today, as we believe that a true Ninja should always have a Ninja sword with him/her so it’s highly essential to get one for yourself even if it's for combat purposes or collection purposes!